Alexandra Barber is a Hilton Prize Coalition Fellow working with SOS Children’s Villages – USA. At SOS Children’s Villages – USA, Alexandra worked as a Marketing and Fundraising Fellow. In her blog, she reflects upon her work with emergency response programs and her growth in both offline and digital marketing and fundraising. Studying at James Madison University, I discovered my true passion to work on and be a part of something that made a change in the lives of people all around the world. For my senior thesis, I constructed a development plan for Haiti that mainly focused on disaster response. My senior thesis’ focus on disaster response is ultimately what drew me to apply for the fellowship at SOS Children’s Villages – USA (SOS). Although their emergency response programs weren’t quite the same as the work that I did with my senior thesis, this position would allow me to combine another passion I had: working for children and ensuring their rights to a great future. 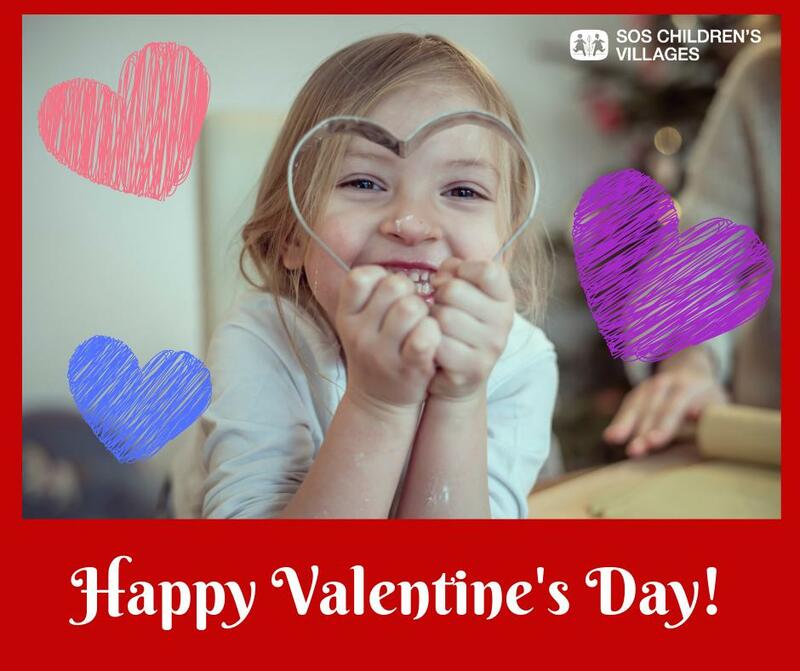 As the largest NGO dedicated to the care of orphaned and abandoned children, SOS Children’s Villages utilizes a comprehensive approach to build loving and stable families for children in over 135 countries. SOS originated in 1949 following World War II when 40 Austrian children were taken to safe homes after becoming orphaned. This event led to the overarching mission of providing safe homes to children in need. SOS is able to accomplish this goal through their core pillars and model: prevention, long-term care, empowerment, and movement building. Through prevention, SOS Children’s Villages provides the resources to strengthen families and protect children from threats to their safety. For those children who do not have parental care, they are brought into SOS homes and provided long-term care of a loving and stable family. SOS children are then set up for success and provided resources, such as vocational training and life skills development, to feel most empowered and reach their full potential. Finally, SOS Children’s Villages works with other developmental agencies and communities to advance initiatives that help children and families and raise awareness of the rights of children. In my position as a Marketing and Fundraising Fellow for SOS Children’s Villages, I have been fortunate to add to my experience in both offline and digital marketing and fundraising. However, my work with the major gifts department on grant proposals directed towards emergency response programs has been most interesting. One of SOS’s most inspiring initiatives is their emergency response programs, which began in order to provide support and care to children before, during, and after a large crisis or emergency. Humanitarian crises are extremely frequent and can occur in the wake of political instability, poverty, environmental causes, or weak institutions. Various projects I have been able to have a hand in have highlighted some of the things that SOS Children’s Villages – USA has been able to do to combat these important issues. These are projects that range from grant proposal research for projects helping those affected by the conflict in Syria, to others that show the steps taken to advance our four pillars: empowerment, prevention, advocacy, and long-term care. SOS utilizes locally led teams placed in the wake of conflict or disaster to provide children with protection and care for as long as they require. To do this, they provide food, clothing, medical care, and psychological support. They also work to reunite children with their families, deliver aid to affected families, and provide special protection to traumatized children. They work with other NGOs and governments to provide the most impactful disaster response programs. I think what makes SOS Children’s Villages unique is their availability to these people all over the world and their dedication to each disaster. SOS doesn’t just respond in the moment and provide families with food and water, but they also stand by and help those affected, pick their life back up and rebuild. What makes their work stand out is their ability to continue providing support, years after the conflict has occurred. Their work with international development is different in that it’s lasting, and that’s one of the most important aspects of this field. So far this fellowship has acted as much more than another job; it has acted as a learning experience. The Hilton Prize Coalition Fellows program and SOS Children’s Villages provided me with an environment where I feel comfortable and accepted for everything I can bring to the table. Every project or task I have completed has contributed to the growth I have experienced in this field as well given me clarity of the work I want to do in the future.